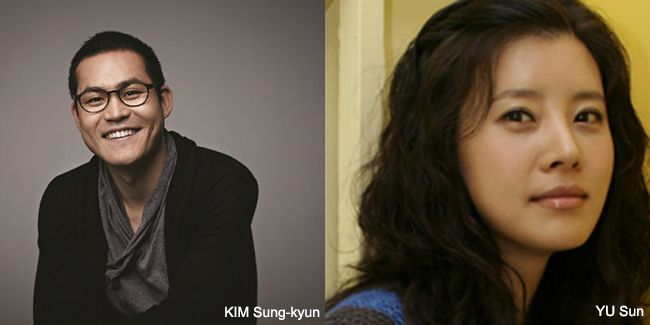 KIM Sung-kyun and YU Sun are teaming up for new thriller Exorcist (translated title), from The Neighbors director KIM Hwi. Based on a horror novel of the same name by Shin Jin-oh, the film will tell the story of a time and place where there lived a large snake. Rising star KIM Sung-gyun caught his big break with a scene-stealing turn in the 2012 hit Nameless Gangster: Rules of the Time and has appeared as a supporting actor in numerous major productions, such as Hwayi: A Monster Boy (2013) and Kundo: Age of the Rampant. This month he co-starred in the new revenge thriller The Deal, along with KIM Sang-kyung and PARK Sung-woong. Veteran actress YU Sun, who debuted in 1999’s Mayonnaise, most recently headlined the revenge thriller Don't Cry, Mommy (2012). She has also appeared in a number of KANG Woo-suk’s films, such as Glove (2011) and Moss (2010). Prior to his feature debut, director KIM worked as a writer and script editor for films such as Haeundae (2009), Midnight F.M. (2010) and Sector 7 (2011). He also helmed a segment in the omnibus Horror Stories II (2013). Produced by K Production, Exorcist will go before cameras this month.